The formidable human sorcerer, Seoni, is a woman of few words, and that often results in surprises for her adversaries who underestimate her brilliant cunning. Compelled by her strict moral code and compulsive preparation, she makes an ideal member for any band of adventurers. 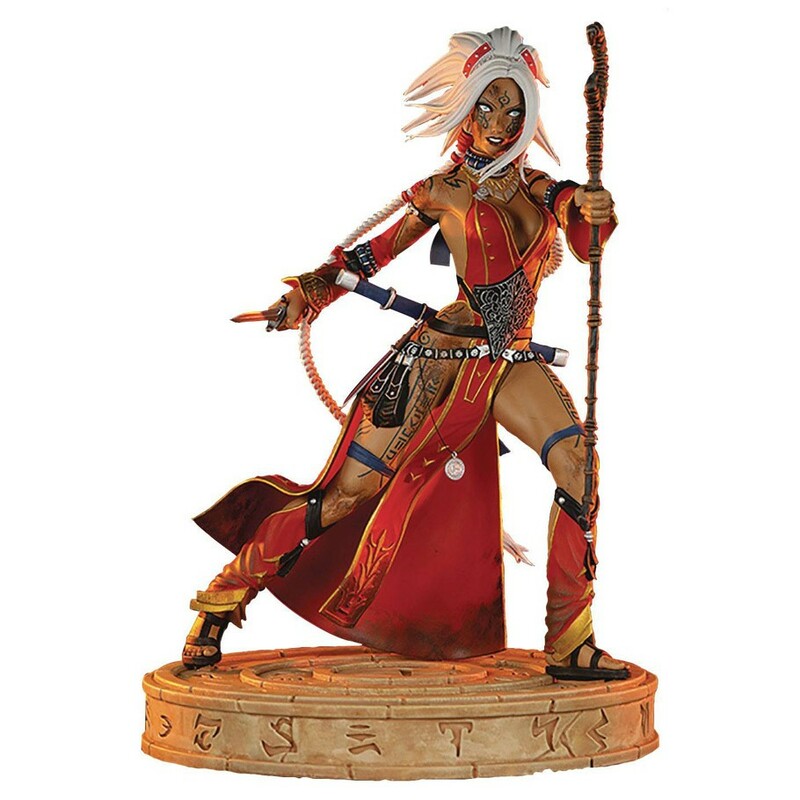 This is what makes Seoni one of Pathfinder’s most popular Iconic Heroes, and the reason why Dynamite has chosen to celebrate her in resin form for the very first time in Pathfinder history! Fans will appreciate the amazing detail of this 3-D rendering, featuring beautiful filigree on her clothing, intricate body tattoos, and even the priceless medallion she wears around her waist. Seoni is available in a “standard” spell-casting form, as well as a “battle ready” variant, featuring dirt and blood detailing earned from a long and brutal campaign.